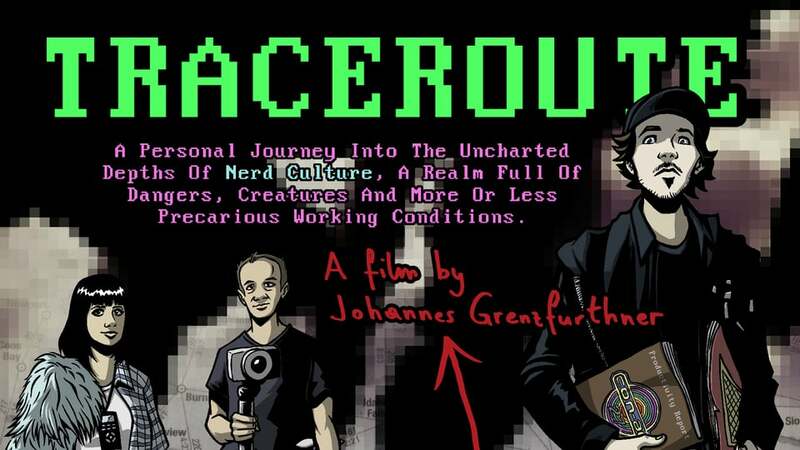 Johannes Grenzfurthner writes, "My cinematic tour de farce through nerd culture comes to the West Coast. Upcoming Bay Area and L.A. premieres!" * Bay Area premiere at "Diamond In The Rough Film Festival" (featuring Q&A with DOP Eddie Codel) in Cupertino, CA. September 24, 8 pm. * L.A. premiere (featuring panel with Film Threat's Chris Gore and Traceroute's director Johannes Grenzfurthner), presented by the Subversive Cinema Society at Betalevel; September 25, 6:30 pm.